Paul, Plevin, Sullivan & Connaughton is one of California’s top management-side labor and employment law firms. 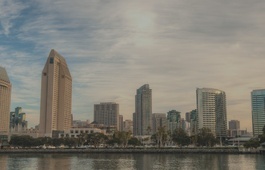 Our commitment to excellence has been recognized by our clients and peers, including seven straight years as the only San Diego law firm with across-the-board first tier rankings from U.S. News & World Report and Best Lawyers. Our lawyers represent employers in discrimination, harassment, wrongful termination, wage and hour, trade secret, union-management, and other employment-related matters throughout California and, increasingly, nationwide. 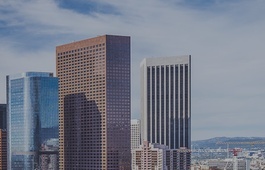 Our lawyers represent employers in discrimination, harassment, wrongful termination, wage and hour, trade secret, union-management, and other employment-related matters throughout the state of California and, increasingly, nationwide. We also have substantial expertise in higher education law, employee-related intellectual property litigation, and public sector jurisdictional, immunity and constitutional issues. Paul, Plevin represents California employers in all types of contested matters, from arbitrations, to administrative hearings, to class actions, to jury trials, to appeals. The firm’s experience base is vast. All Paul, Plevin litigation partners have experience in multiple jury trials and appeals, and combined have over 150 years of employment litigation experience. Our attorneys work closely with our clients to provide advice and counsel aimed at maintaining compliance with California law and minimizing risk. All of the firm’s partners and senior associates provide employers with counseling and transactional support in addition to litigation services. We have a wealth of experience in the field of Labor-Management Relations. We provide legal advice to companies to implement strategies for lawful union avoidance and to deal with union organizing campaigns. For companies with existing union contracts, we assist in planning for successful union negotiations, and have extensive experience negotiating collective bargaining agreements. We offer targeted audit services to help employers of all types comply with California and federal employment laws and utilize best practices in the management of their personnel. Paul, Plevin offers in-house training that is second to none. Our employment law experts offer upbeat, informative and practical training for diverse audiences, including human resource personnel and all levels of employees and management. Subscribe to our E-Update and receive all the latest developments in labor and employment law as analyzed by our expert attorneys.